“There does not exist a category of science to which one can give the name ‘applied science’. There are sciences and the applications of science, bound together as the fruit of the tree which bears it.” – Louis Pasteur. 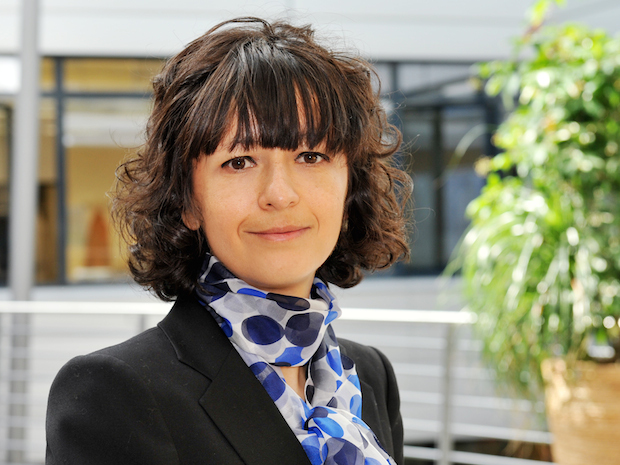 At first sight, Emmanuelle Charpentier’s favourite quote might seem rather incongruous. Only two years ago, she and her colleagues published a paper whose contents are already revolutionising the world of genetic engineering. In it, the team described a mechanism that allows scientists to cut and paste genetic material into DNA with much greater ease and precision than ever before. The finding was listed as one of the top 10 research discoveries of 2012 by the journal Science, and opens the possibility of new treatments into genetic disease. After some years researching microbiology as a postdoc in the US, Charpentier moved to the University of Vienna in 2002 to build up her own research group. There, she researched virulence, or the ability to cause disease, in Streptococcus bacteria. This led her to develop an interest in small fragments of a molecule called RNA that were known to help bacteria defend themselves against attack by viruses. This defence system, called CRISPR, lets bacteria recognise and cut the DNA sequences of re-invading viruses, thereby destroying them specifically. If you don’t focus on fundamental research, no translation is possible. While at Vienna, Charpentier heard about a call by the Swedish node of the EMBL Partnership for new group leaders at Umeå University. Attracted by the focus on molecular medicine and by the EMBL model of funding and supporting researchers, she applied. While joining the Laboratory for Molecular Infection Medicine Sweden (MIMS), she discovered a new RNA called tracrRNA, which revealed a new arm of the CRISPR mechanism, called CRISPR-Cas9. Unlike the other CRISPR mechanisms known until then, CRISPR-Cas9 was simple enough to use as a tool for genetic engineering.